Bellevue Overlake Dental (Bellevue) - Book Appointment Online! A visit to the dentist's office isn't just about checking for cavities anymore; there have been advancements in the field of dentistry, and we have responded by expanding our range of care to suite your needs. 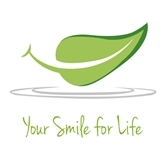 You will experience a comfortable, relaxed environment where you receive complete and professional oral healthcare. A high standard of excellence in personalized dental care enables us to provide our patients the care they expect and deserve. The smile is our window to the world, and it's the first thing that makes an impression on people we meet; it's no wonder that more and more people are turning to cosmetic dentistry for corrective procedures and aesthetic enhancement. Whether you want to fill a cavity or get a complete dental make over, we can help you achieve the smile you deserve.